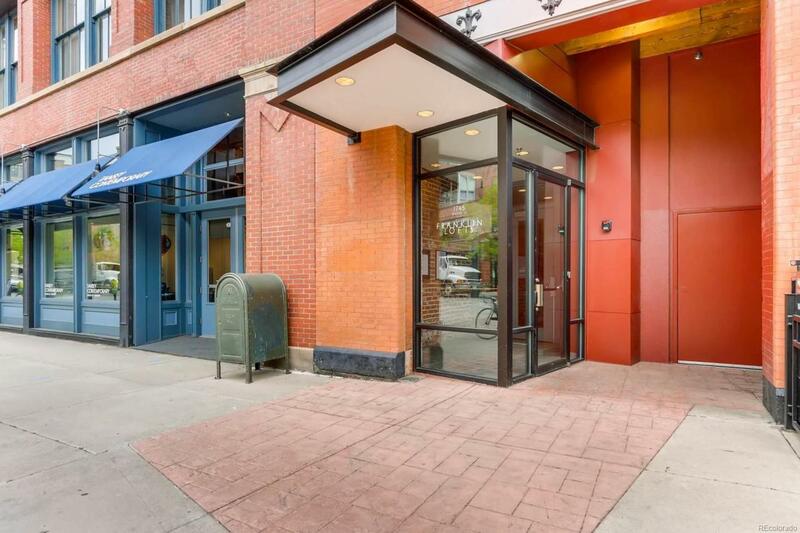 Here is a true gem in the very popular downtown Denver Union Station/Lodo neighborhood! This stunning penthouse has been professionally remodeled for you to live in the heart of Downtown with breathtaking views of the cityscape from your large balcony and even some mountain views from the windows. Inside your home, you will find pure tranquility. Very functional space leaving the original timber beams untouched. The kitchen has a beautiful modern feel with the white marble and stainless steel appliances. You can use all three rooms as bedrooms or office space. Both bathrooms are completely updated with beautiful custom tile and modern fixtures. The balcony has been professionally landscaped, a cozy place to enjoy all seasons of the year, with very low maintenance. This condo also includes 2 deeded parking spaces and a locked storage area. Don't miss your opportunity to own this impressive piece of Denvers history, it can never be duplicated!